‘Speech’ refers to the speech sounds your child makes. It is also known as ‘articulation’ or ‘phonology’. 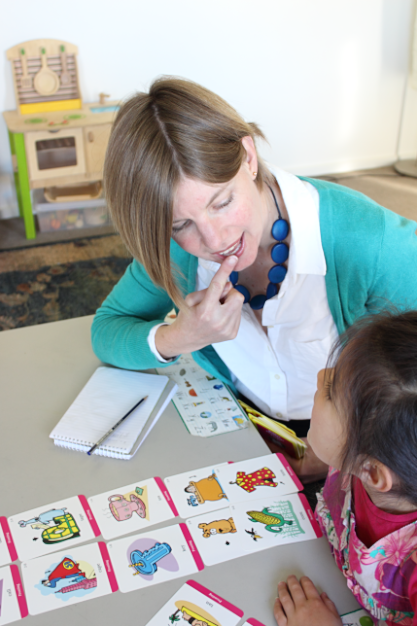 How do I know whether my child needs speech therapy? What sounds should my child say? is an information sheet (PDF) that provides a handy guide. If you have concerns about your child’s speech, we recommend seeking an assessment. Children with speech errors and language difficulties at an early age can develop problems with reading and writing by the time they start school (1, 2). Therefore, working on their speech a year or two before kindergarten will improve their speech sounds, and reduce the risk of later difficulties with reading and writing.